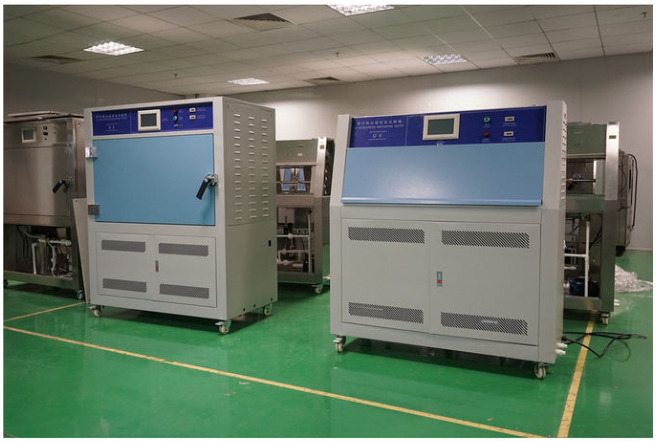 The damage products caused by sunlight and moisture to material is hardly estimated, and UV accelerated weathering test machine can simulate the sunlight, rainwater and dew, by which use the machine to estimate the damage to the material. The test principle in the machine is putting the tested material exposing under the controlled simulating sunlight and the humid condition alternately, at the same time, the temperature can be controlled and set for a testing condition, which simulates the natural environment but can accelerate the process to shorten the testing time by strengthening the UV light, adding the humidity and rising the temperature. 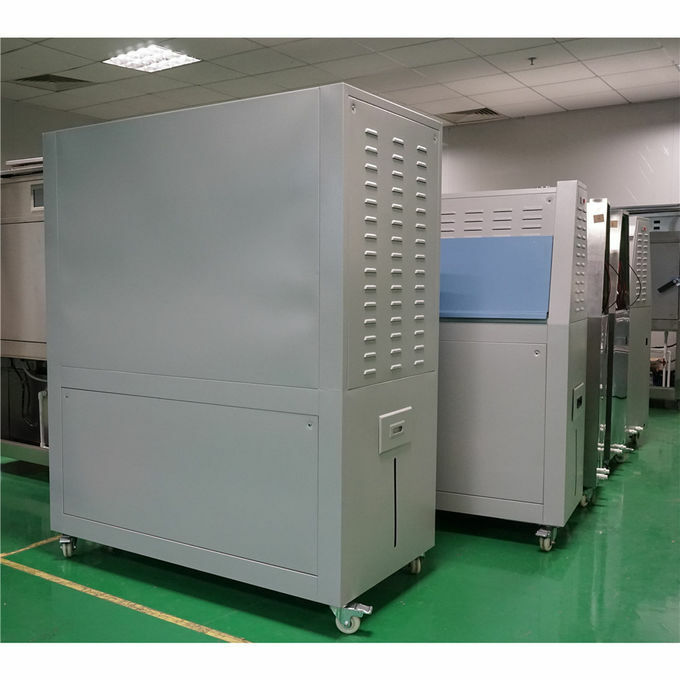 The equipment adopts UV Fluorescent lamp to simulate the sunlight, and use the condensation and spray to simulate the humid factor and the outdoor environmental condition. 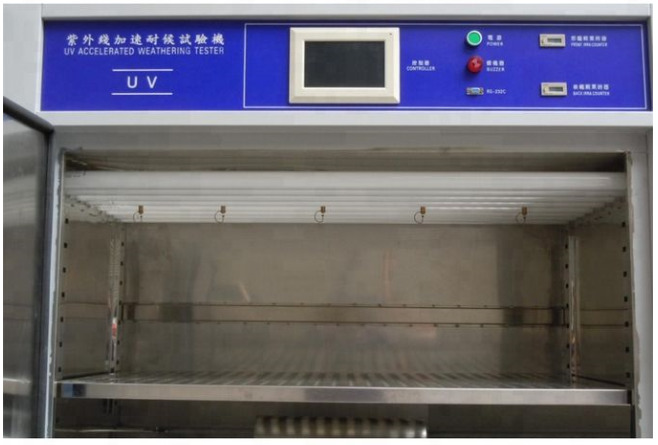 UV tester simulate the outdoor moisture by a series of unique condensing principle. 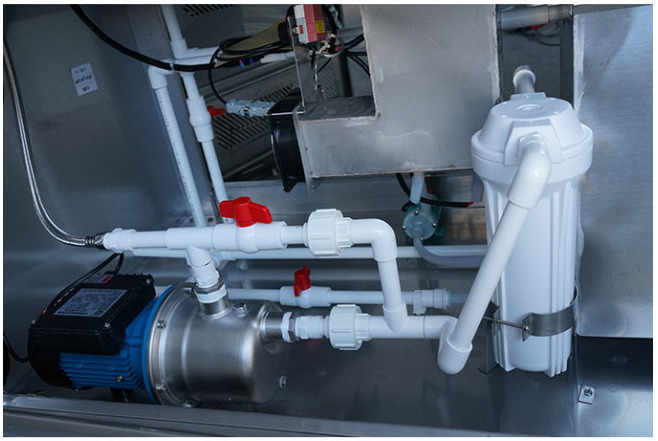 There is a water storage containers at the bottom of chamber, which is the one unit of condensing circle system, heating the water container to get the steam and the hot steam keep the chamber inside relative humidity at 100%, also keeping at a relatively high temperature. during the whole condensation process.. This cooling liquid is a very stable pure distilled water. The purified water increase the test reproduction rate, while at the same time avoid the issue of the water spots. water spray can be a better simulation of final environmental conditions. Water spray is extremely useful to simulate quick changes in temperature and raining for estimating the damage to the goods during these environment. 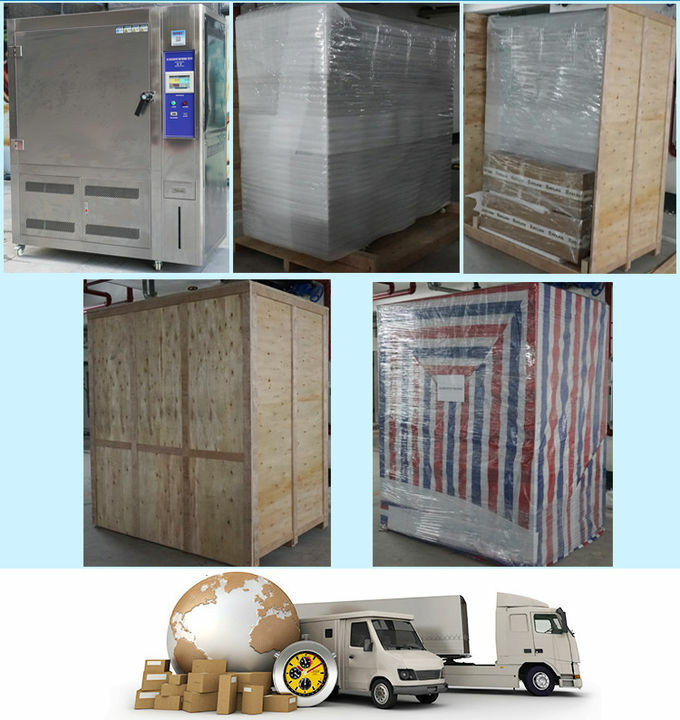 Due to the scouring of the raining, the coating of the goods will be washed away and lead to the material exposes to the sunlight directly, so this machine has the raining function to simulate the raining. 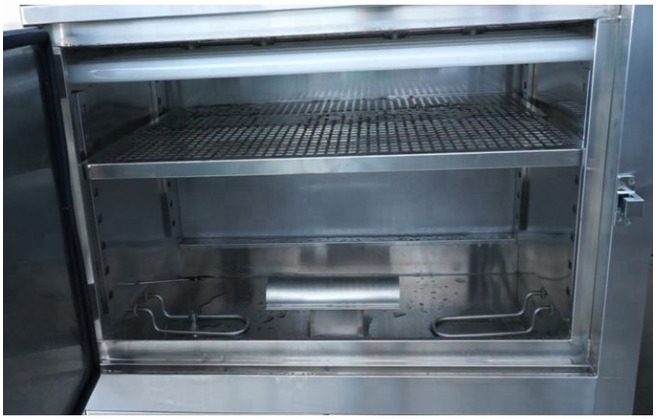 The condensation, the UV light, and the raining function gather together can perfect simulate the outside weather and to get a perfect testing result for the material or goods. 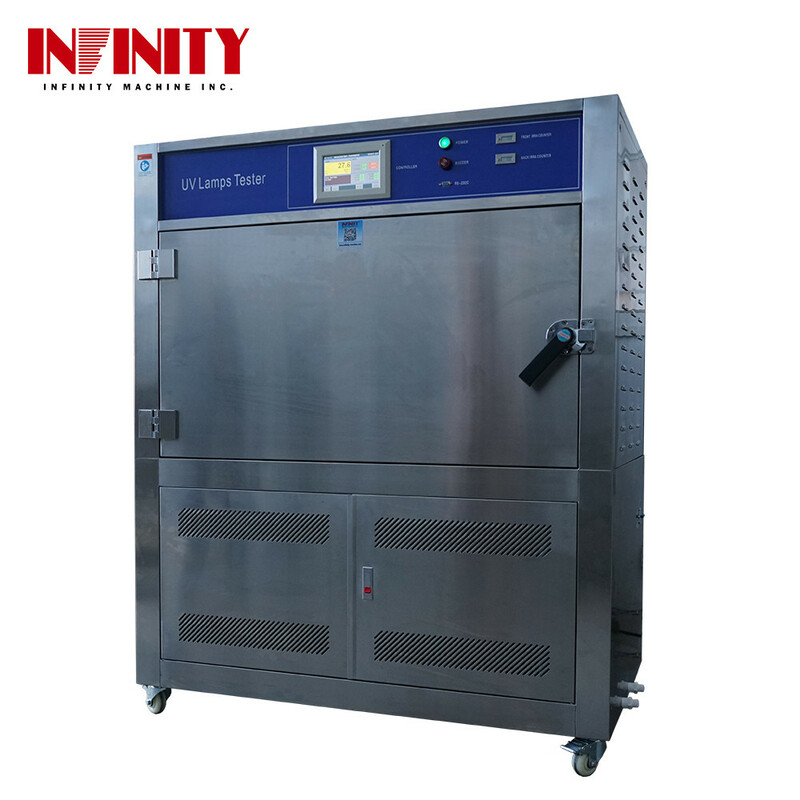 China Good Quality Electronic Universal Testing Machine Supplier. Copyright © 2016 - 2019 tester-machine.com. All Rights Reserved.